WordPress is one of the easiest and fastest ways to get a website online. 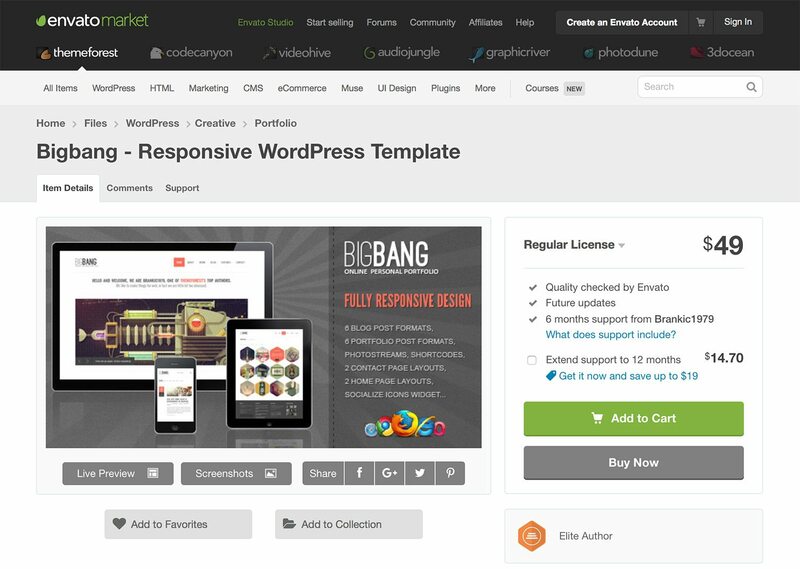 There are tons of free WordPress themes available, and even more plugins that add features to your website. It’s ease of use can be deceiving though – behind the scenes it takes a lot of expertise to ensure things are set-up correctly and they look as good as they possibly could. Just wading through the massive array of plugins is completely overwhelming to the novice. Searching for a plugin to integrate your MailChimp newsletter with your website returns over 270 different plugins. Some of those are incompatible with the latest version of WordPress, some don’t work quite the way you need, and some are just plain poorly written and can bring down your website. We’ve been building WordPress websites for over 10 years and have compiled a huge library of plugins for almost any feature you want to add to your site. We know what works best, and we ignore everything else. Even if you want something totally new, we know what to look for when selecting a new plugin. And we know what to do if a plugin brings down your website too (it involves FTP and it’s not fun). 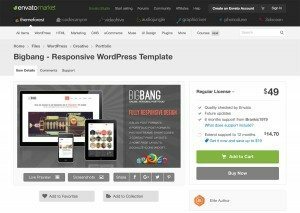 WordPress themes are a whole different beast – there are so many options to choose from, some free, some paid, and there’s a huge array of different places to buy a theme. Let’s say you do a Google search for ‘WordPress Theme’ (almost 76 Million hits!) and dig through the different options. You can literally spend days and days searching for the perfect theme. When you find a theme you like always ensure that you try the demo site to see how the theme actually works, not just how it looks in a screenshot. Try it on your phone or iPad too to ensure the site is responsive. If it’s not responsive, move on. Also ensure the theme is compatible with the latest version of WordPress. And if the theme hasn’t been updated in years, don’t waste your time. There will almost certainly be bugs or features that don’t work because WordPress has been updated but the theme has not. The theme is responsive (resizes to fit a smaller screen). The theme is compatible with the latest version of WordPress. 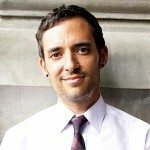 The reviews of the theme are good and the creator responds to customers questions. 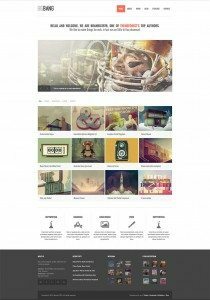 The theme’s demo site has most of the pages you need for your website (and you like how they look). The demo site also includes things like pricing tables, graphs & buttons. Demo content is available (see below). 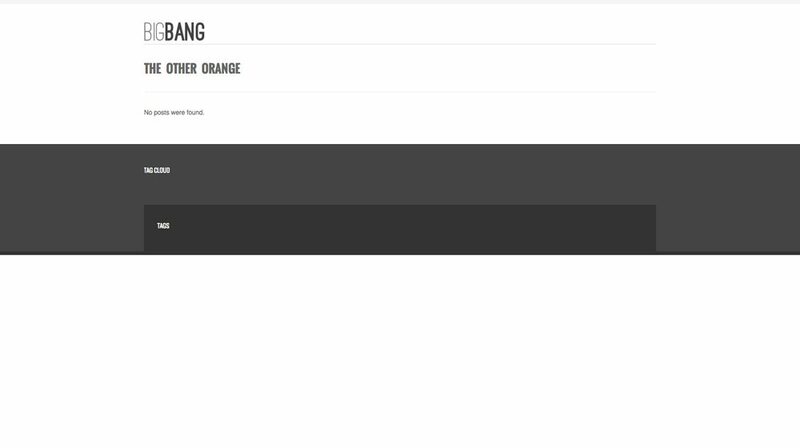 After searching through tons of options let’s say you settle on Bigbang, available on ThemeForest. 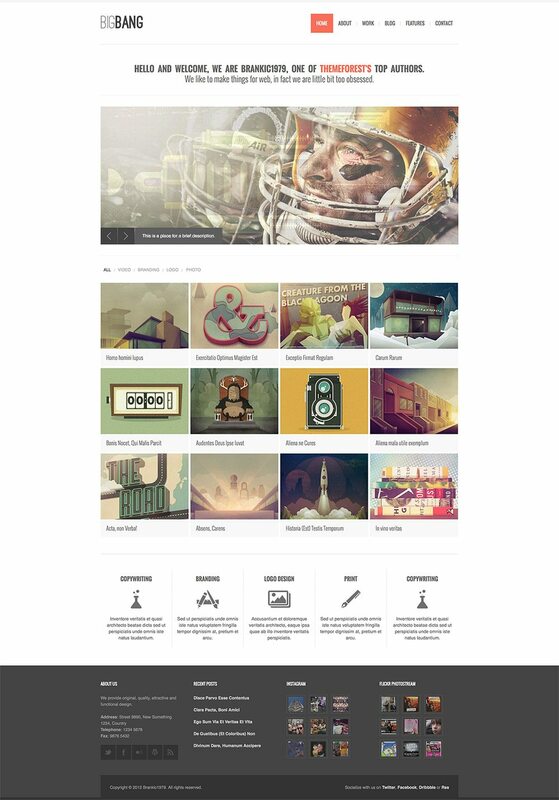 It’s a great looking theme, perfect for a creative business with a fantastic portfolio and lots of Social Media options. One of my good friends used this theme and is really happy with it. And at $45 too it’s a bargain for a great looking website. The only problem is getting everything set-up. Once you purchase and download the theme you’re left with a .zip archive. Now you need a web hosting account, install WordPress onto your web server, create a WordPress user account and get the theme uploaded. This is all super simple if you’re a seasoned expert who has done this a thousand times. But for a novice user, getting the dreaded The uploaded file exceeds the upload_max_filesize directive in php.ini is a show-stopper. There are lots of ways to get around this, some super simple, some crazy difficult. Once you’ve gotten this figured all figured out and the theme’s uploaded you should be good to go, instant website! Right? Unfortunately this is where WordPress expertise really comes into play. Remember the great Bigbang theme we discussed earlier? The demo site is amazing, full of pages, blog posts, images and text. But once installed this is all you get, a blank page with a black bar. That’s it! Don’t worry, you didn’t get ripped off, that’s just how any WordPress theme looks with the default settings. There’s still lots more work to do, building pages, adding text and images, installing plugins. This is by far the most time consuming part of the process. It’s also where a little expertise makes everything go faster, and ensures the end result is amazing instead of just “Oh, you must have built your own website…”. Our designers and programmers have the expertise to make your chosen WordPress theme look like exactly the demo site, or completely differently, if that’s what you want. We even help you choose a theme to ensure it meets all of your needs. We also install our favourite plugins to ensure everything works perfectly right from the start. Set-up domain name, web hosting account and email addresses. Install WordPress and set-up user accounts. Install WordPress plugins to enhance your website’s features and functionality. Show you how to sign-in and make updates to pages, blog posts and images. Our clients also have access to a full library of videos and how-to articles on getting the most out of WordPress, you can check it out here. If you have questions, you can find answers. But if you can’t we’re here to help too. Just send us an email, we’re happy to help out! So what are you waiting for. Let’s get started!